‘End malaria for good’ is the theme of this year’s WHO World Malaria Day on 25 April, and a topic of particularly poignancy for Medilink and our clients. With both our clients’ and our operations spanning the globe and taking in areas posing a higher risk to staff of malarial infection, the disease is one we take exceptional precautions on, providing regular advice on its prevention and treatment. Malaria comes under our radar in several of our activities from health risk and health impact assessments of prospective remote sites to medical check-ups, both routine and ad hoc of staff and during fitness-for-work and post-employment examinations. We also provide information on malaria for clients and staff online and at routine seminars during the year. Sweating stage: i.e., due to profuse sweating, the temperature goes down to normal. Malaria may also secondarily cause enlargement of spleen or liver. Go to the doctor to get tested to confirm malaria. Seek medical treatment as soon as possible – especially if your medical condition is rapidly deteriorating. Begin and follow the recommended course of treatment. 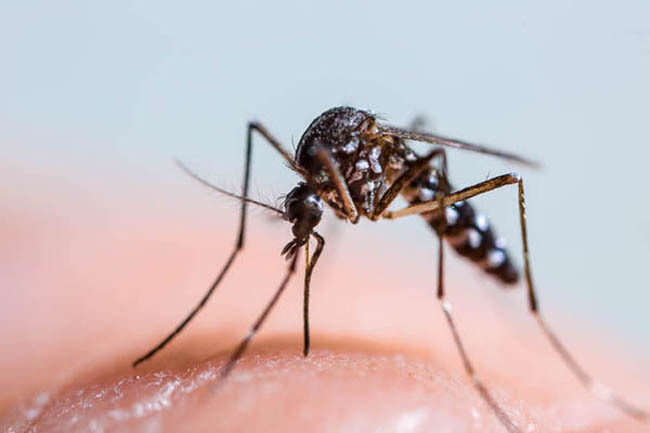 There is no room for complacency even among people who have been living and working in a malaria endemic region and develop partially protective immunity to the disease by having experienced repeated attacks by infected mosquitoes. Although such ‘semi-immune’ people often may not develop severe disease, they can still be infected by malaria parasites. Malaria poses a very real threat to both indigenous and transient populations in many parts of the world, with sub-Saharan Africa one of the disease’s bastions of resistance. However, there has been substantial progress, particularly over the past decade, in containing and preventing malaria thanks to persistent roll-out of preventative and educational measures and campaigns. According to WHO estimates, new malaria cases globally fell by 21% between 2010 and 2015, while death rates from malaria fell by 29% over the same five-year period. In sub-Saharan Africa, for example, far more of the local population is now able to sleep under insecticide-treated nets; in 2015, an estimated 53% of the at-risk population was under a net compared to 30% in 2010. This is all good news from a global perspective but statistics don’t tell the whole story nor give a full picture of the realities of living and working in high risk malarial zones. According to the World Malaria Report 2016, fewer than half of the 91 malaria-affected countries and territories are on track to achieve the 2020 milestone of a 40% reduction in case incidence and mortality. The report states that one child dies from malaria every two minutes; a bleak statistic which hits home the need for the WHO’s statement that its fight to end malaria is ‘work in progress’. The report goes on to point out that in 2015 alone, malaria financing totaled some US$ 2.9 billion, while contributions from both domestic and international sources have to increase substantially if the Global Technical Strategy for Malaria 2016–2030 milestone of US$ 6.4 billion is to be met by 2020. These figures serve to remind us of the very real costs posed by inaction or inertia over malaria and also of our role to continue working to lower the incidence of malaria as well as other persistent and life-threatening diseases like tuberculosis and hepatitis. Medilink endeavours to ensure our clients are made fully aware of the preventative measures required and are sensitised to the disease’s early warning signs. Our health risk and health impact assessments are first opportunity to define the local risks and plan preventative measures at remote sites. Medilink’s third-party administration (TPA) facilitates a cashless intermediary service, worldwide, within a preferred network of providers, for both out-patient and in-patient cases. We secure the best possible and most appropriate medical services at the optimal price point, keeping claims costs to a minimum. Preventative and educational measures still remain the strongest tools in the mutual fight to contain and ultimately eradicate malaria. See also the Medilink information sheet on malaria, and contact us for more on our Health Risk and Health Impact Assessments as well as details of our Occuputional Health Services.